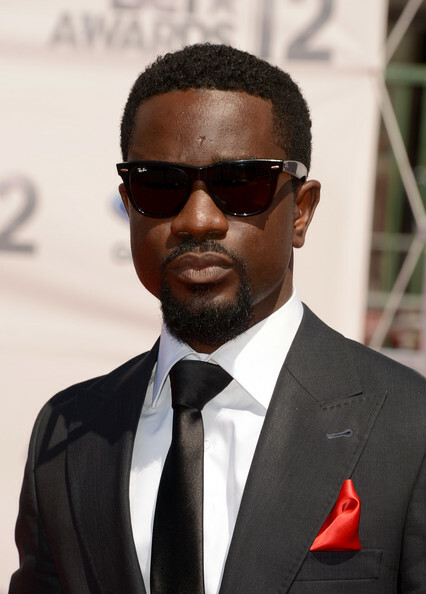 Ghanaian Rapper Michael Owusu better known as Sarkodie last Sunday at the 2014 Headies award won Best African Artist of the Year while Patoranking becomes the proud owner of a Hyundai 4×4 after winning the Next Rated category. Patoranking the buzzing dancehall act dominated most of the event as the music act went home with three awards. His first award was for his collaborative effort on’Emergency’. The hit single earned him the Best Collabo award alongside WizzyPro, Skales and Runtown. His second award was the Best Reggae /Dancehall category for his hit single ‘Patoranking’. His biggest award of the night was when he clinched the Next Rated award category. In a moving speech the artiste recollected his humble beginnings when he sold rat poisons and worked on at construction sites. Mavin boss Don Jazzy also went home with two awards. He and his crew won the ‘Best Pop Single’ award. Later in the night, he won the major award, Producer of the Year. Fellow Mavin act Reekado Banks went home with two awards two, Best Pop Single and Rookie of the Year. Best Alternative Song – Bolaji by BOJ. Album of the Year: Baddest Guy Ever Liveth by Olamide. Artiste of the Year: Davido.